Clean away the gray cast of dust, dirt, grease, and more from your wallpaper in three steps—or less. Is your wallpaper looking a little tired? Over time, dust and moisture can discolor, leaving papered walls dingier than the day they were covered. Wallpaper in the kitchen can become coated with cooking sprays, smoke, and evaporated oils, creating a sticky surface where dust will readily stick and shadow the wall. Meanwhile, wallpaper in the bathroom, where it’s exposed to high humidity and splashes of water, may become moldy and mildewed in spots. If very saturated—say, from a leak or burst pipe—water can also seep through walls and release tannins from the underlying wood, staining your wallpaper. Fortunately, you can remove the scuffs and grime with a few relatively simple methods outlined below. Be sure to consider your specific type of wall covering and what it can handle, then continue reading to learn how to clean wallpaper effectively. Before doing a deep clean, determine what type of wallpaper you have. Vinyl wallpaper is the most popular, but wallpaper is getting a reboot, thanks to new materials and technologies. As such, there are more options to choose from, each with its own set of cleaning considerations depending on the durability of the material. Here are the seven to know. Vinyl: This variety of wallpaper is most common in homes because of its affordability and general resilience. Older or inexpensive versions can have an “artificial” or plastic-look, although newer vinyl papers can also imitate stone, wood, and other natural surfaces. 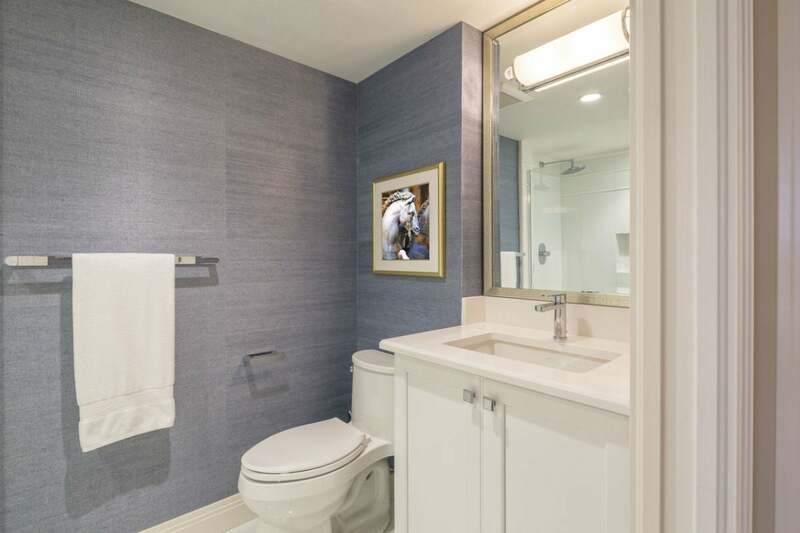 Designed to last 10 to 20 years, vinyl wallpaper is often found in kitchens and bathrooms because it’s rather resistant to water and dirt damage—and this same durability makes it able to withstand a deeper clean than most types of wallpaper. Fiberglass: Also known as “glass cloth” wallpaper, fiberglass is an ultra-durable wall covering that is also flame-resistant. It can be used to patch wall cracks or completely cover the ceiling or wall with a subtle decorative pattern. With a 30-year lifespan, it is an expensive but high-performance option. Like vinyl, it can handle soap and water, as well as non-abrasive cleaning liquids, to remove stains. Best of all it is highly durable, fade-resistant, and saves money over time by reducing repair and maintenance costs. Cellulose: Traditional vintage wallpaper—includin historic brands like Morris & Company (founded by designer William Morris)—is mainly composed of cellulose, the plant fibers derived from wood pulp. Colors tend to fade over time, and they are susceptible to water damage. Newer technologies mix cellulose and cotton fiber to create liquid wallpaper, a breathable and eco-friendly wall covering that is applied like paint but offers more texture options. Plant-based wallpaper of all kinds should not be cleaned with harsh chemicals or exposed to high humidity. Fabric: Embossed, textured, and textile wallpapers are increasingly popular today. They can also be very expensive, especially when high-quality materials are used, like silk, linen, velvet, or raffia. 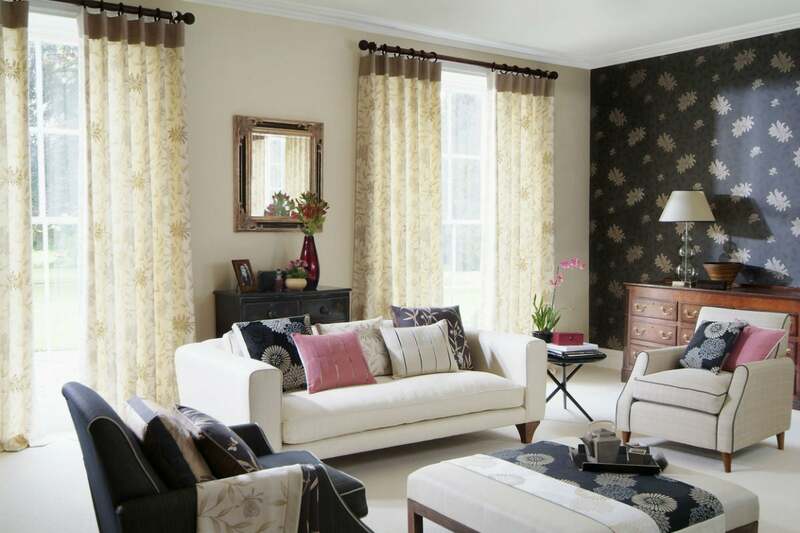 Fabrics vary in water-resistance, so cautious when cleaning fabric wallpaper. For best care, use dry dusting and vacuuming, rather than liquid cleaners. For any lasting stains, contact the manufacturer or an expert. Bamboo: Bamboo wallpaper is plant-based, sustainable, and eco-friendly. It also resists certain microbes and allows walls to breathe. However, it can be damaged by water and therefore is not recommended for high-humidity areas like kitchen backsplashes and bathrooms. Do not clean with water. Hybrid: Non-woven wallpaper is a blend of natural and synthetic fibers. This hybrid material allows walls to breathe and is eco-friendly. It is also more expensive and non-washable, making daily upkeep and dusting essential. Removable: “Temporary” wallpaper, made from high-performance vinyl or woven polyester (or even more eco-friendly options), offers flexible home design. Renters and homeowners can peel off the backing and press the adhesive against a wall. The low-tack adhesive coating works best with semi-gloss, satin, or eggshell paint finishes (rather than matte). When placed in low-humidity areas, removable wallpaper can last several years. If yours is a cellulose, fabric, bamboo, hybrid, or removable wallpaper, stick to Step 1 (below), only lightly dusting or vacuuming walls. Many natural fibers and fabrics can be damaged by water and cleaning chemicals, so contact the manufacturer before tackling a stain. Vinyl and fiberglass wallpapers—the most durable of the bunch—are the exceptions. Either can be cleaned with all-purpose cleaning sprays or the gentle cleaning method outlined below. 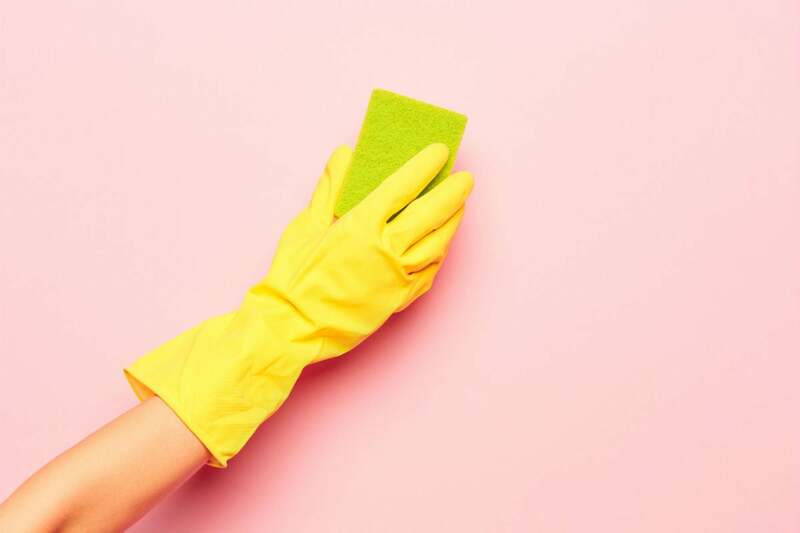 Even so, proceed with care: Work with non-abrasive chemicals (no powders) and soft cleaning pads or sponges only (no scouring pads) so that you do not scratch, tear, or otherwise damage the surface. Don’t use Mr. Clean Magic Erasers or any other melamine scrubbers, which contain very fine abrasives. STEP 1: Start by removing surface dust. All types of wallpapers must be dusted with a microfiber cloth regularly—at least once every two months. For hard-to-reach places near the ceiling, attach your cloth to a long-handled sweeper. You can also vacuum walls, using the wall brush extension. Make sure the vacuum head does not have bristles and is simply sucking up dust, not scouring the wall. Begin at the ceiling, and swipe the vacuum head down the wall in long, smooth lines. Tip: For vinyl wallpaper that will be washed, always dust or vacuum the surface before tackling stains. If you apply water and soap right away, any dust or cobwebs will turn muddy, making your cleaning job harder. STEP 2: Deep clean wallpaper (only vinyl or fiberglass types) with soapy water. In a bucket, mix 1 gallon of water with ¼ cup of mild dish soap or castile soap. Then, dip a soft, non-abrasive sponge into the soapy water and ring it out until it’s just damp and wipe down the wallpaper. If your wallpaper is in the kitchen, this soapy mixture should cut through most grease stains, but perhaps not all that have set in. It may not address discoloration caused by water damage or mold. Make note of any deeper stains and resist the urge to scrub harder—we’ll address those lingering stains next in Step 3. For now, allow walls to air-dry or hand dry with a towel. STEP 3: Remove smudge marks, stains, and water damage. Determine the type of stain first, then you can nail down the right removal process. For small areas of surface discoloration from pencil or dirty handprints on vinyl wallpaper: Use a gum eraser or a slice of plain white bread. Simply rub the eraser or bread lightly over the mark until it is gone. For stubborn water stains, grease stains larger than a baseball, or general discoloration on most varieties of wallpaper: Contact the manufacturer before attempting an at-home solution. (This goes for all wallpaper types except vinyl, which can withstand stain-removing chemicals like bleach.) If your wallpaper is old, or you do not know the manufacturer, be sure to patch test all stain-removal solutions first. Start an area behind your furniture or near the floorboards, where any discoloration will be hidden. Using a Q-tip, apply the bleach solution to a small surface area, let sit for five to 10 minutes, then wipe clean with a damp sponge. If the patch test reveals cleaner, brighter wallpaper, you can move on to stain removal. For stains on vinyl caused by water damage: Whether it’s mildew or tannins, try a bleach or white vinegar solution. Start with a weaker solution and add more bleach or vinegar as needed. Mix ¼ cup of bleach with 1 cup of water. First, test the solution with a Q-tip on a small inconspicuous spot on the wall, where any discoloration would be hidden; if it appears to work in five to 10 minutes, continue. Dip a soft sponge or cotton pad into the mixture, and ring out excess water. Dab sponge onto the stain and let sit for five minutes. Remove any remaining bleach with a clean, damp sponge, and dry with a towel. For dirt or grease stains on fiberglass wallpaper: Use ½ cup of white vinegar, mixed with 1 cup of water. Sponge this solution onto the stained portion of the wall, and buff in the same direction as the wallpaper pattern. Wipe the surface with a sponge dipped in clean water. Towel dry. For any stains deeper than surface dust found on fabric and natural fiber wallpapers: Contact the manufacturer or a wallpaper expert first. Your stain removal method will depend on the type and age of the stain, as well as the exact wallpaper material.